They say, a problem shared is a problem halved. I say, depends who you share it with. If you are sharing your problem with people who are weighed down by their own trauma, If you are sharing your problem with someone who is very busy, If you are sharing your problem with someone lacking in empathy or sympathy, your problem is not halved. Your problem is increased, or ignored, or misunderstood and dismissed. Pre diagnosis (for this part of the story see here) I didn’t really know what was going on, and that i was headed for a spectacular crash. But i knew i wasn’t happy… a lot of the time. And i knew i got increasingly anxious, to the extent that even a small comment or remark could send me spiralling downwards. I am someone who likes to talk. I do my thinking out loud and so i did on occasion try to talk to people about how i felt. I think, to the uninitiated, it sounded a lot like moaning and complaining. And then i felt guilty about that. The problem was – i was speaking to the wrong people. I have lots of brilliant friends who have been unbelievably amazing through the last few years, but sometimes you need to speak to a professional. Talking to the right person, with the skills and knowledge. Now that will help. I didnt know anything about counselling, or therapy. I still dont know much. I was lucky to have a friend of a friend who I thought might be able to help. I didnt go down a formal route, I didnt see my GP and wait to be referred (thank goodness – who knows how long that would have taken). I, eventually – after lots of badgering from my husband, phoned and made an appointment to see her. Sounds pretty straight forward doesn’t it! There is a lot on the internet that you can read to get further information. I cant say i sought this type of therapy out, but for me, it has been great. “We believe in placing therapy where it needs to be, right in the heart of our everyday lives, and that consulting a psychotherapist should be as accessible and as normal as going to the dentist or optician. I couldnt agree more. 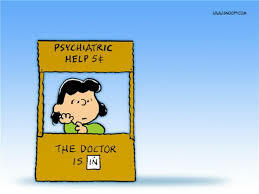 However I still find it weird to tell someone i am seeing a counsellor or a therapist. I can even get embarrassed. How long will it take me to understand – it is a sign of strength to know you need help, and pride that refuses to admit it. It shouldnt be weird, it should be normal. It is so flippin’ ridiculously beneficial. There has been so much i have learnt from this relationship, practical skills, tactics to employ when i am feeling nervous, life skills, ways to change my thinking about behaviour (both mine and other peoples’). I also have to say that i have never regretted a single session with my therapist. I always leave feeling more rested, more equipped, and with less stress then I went in with – win! Clarity is hard to come by when every thought process is continually interrupted, as it is with children constantly around your feet. This time-out in the week was essential. It began to give me perspective and hope. ps. If you are thinking about therapy and wondering if you need it, or feel odd about going (like need to be in an American drama to qualify)- go! You wont regret it. For a weekly (-ish) email to bring you hope, relief, connection and probably some over-sharing sign up below. I promise never to spam you, send you any nonsense or share your details with anyone else. The night will always win, but then the morning comes. Love reading these, I have been on a similar journey these past few years.. gotta love a bit of therapy ! Keep on blogging.